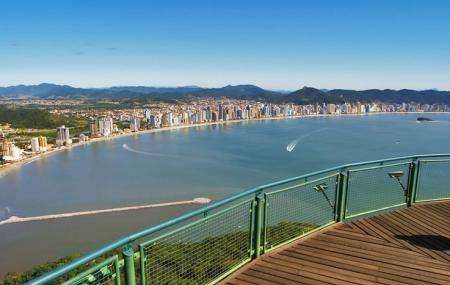 Mirante de Taquarinhas offers one of the best beach views and an untouched sight of the coastline. The sunsets are perfect to have a romantic place all for yourself- owing to the few number of people or none at all! The waters do go deep closer to the coastline and it will be unwise for amateur swimmers and children to enter them especially during the evening hours. However, if you are up for it, the beach promises to be a memorable one. A useful tip is to carry food and water with you to the beach and have a small picnic since there are no nearby eateries here. Carry snacks and water with you if you plan on staying for a long time at the beach. The waves can get pretty tricky and children need to be watched upon if entering the water. Wear sunscreen and carry your own beach towel and umbrella if you need to. How popular is Mirante De Taquarinhas? People normally club together Igreja De Santa Ines and Estaleirinho Beach while planning their visit to Mirante De Taquarinhas.